Here's my write up on WTOP on now dead comet 2015 TB145. Tune in to Slooh.com at 12:30 pm EDT today for a live view. My last blog gave you the scoop on Cassini's deepest flyby through the plumes of Enceladus. 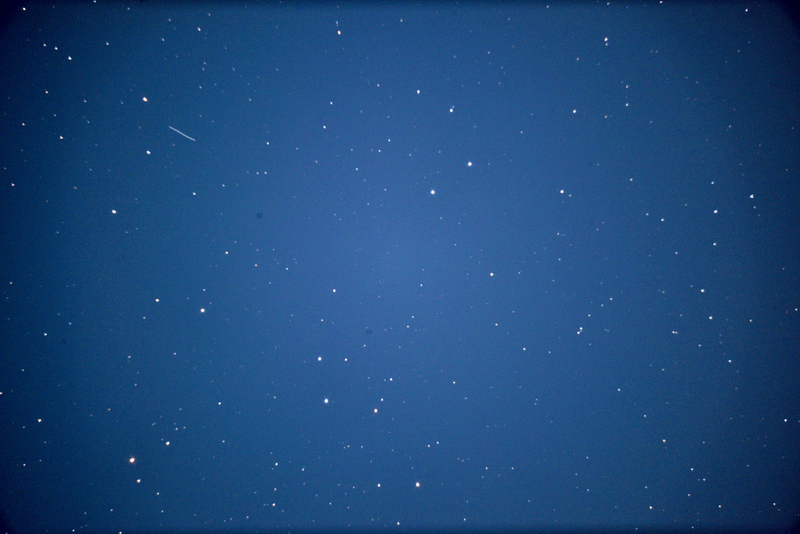 Here is the unprocessed pic of the plumes and the other unprocessed pics. These will get better as they are processed and there will be more as well as data in the coming weeks. Ever seen “Old Faithful” or other smaller geysers erupt at beautiful Yellowstone National Park http://www.nps.gov/yell/planyourvisit/exploreoldfaithful.htm ? It is quite the sight. Located on a small, ice covered moon around the ringed planet Saturn there is a continuous eruption of huge Yellowstone-like geysers that an intrepid spacecraft will fly through at very close range to further discern their secrets. On Wednesday morning the Cassini spacecraft http://www.nasa.gov/mission_pages/cassini/main/index.html that has been exploring the Saturn system for over 11 years will perform its 21st flyby http://www.jpl.nasa.gov/news/news.php?release=2015-328 of Enceladus, the amazing ice covered moon with a global sub-surface ocean. 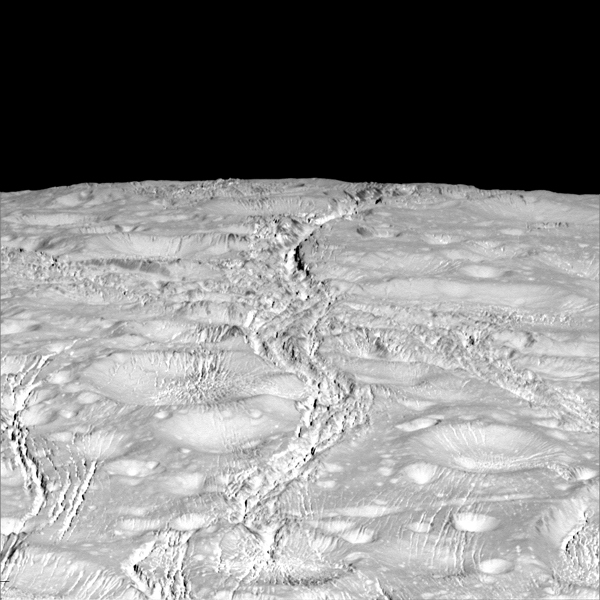 This daring flyby will be only 30 miles above the South Pole of Enceladus https://www.youtube.com/watch?v=BZ1KowQXc3Y and it will be the deepest penetration ever of the fascinating plumes that are located there. Closest approach will be at 11:22 a.m.EDT. 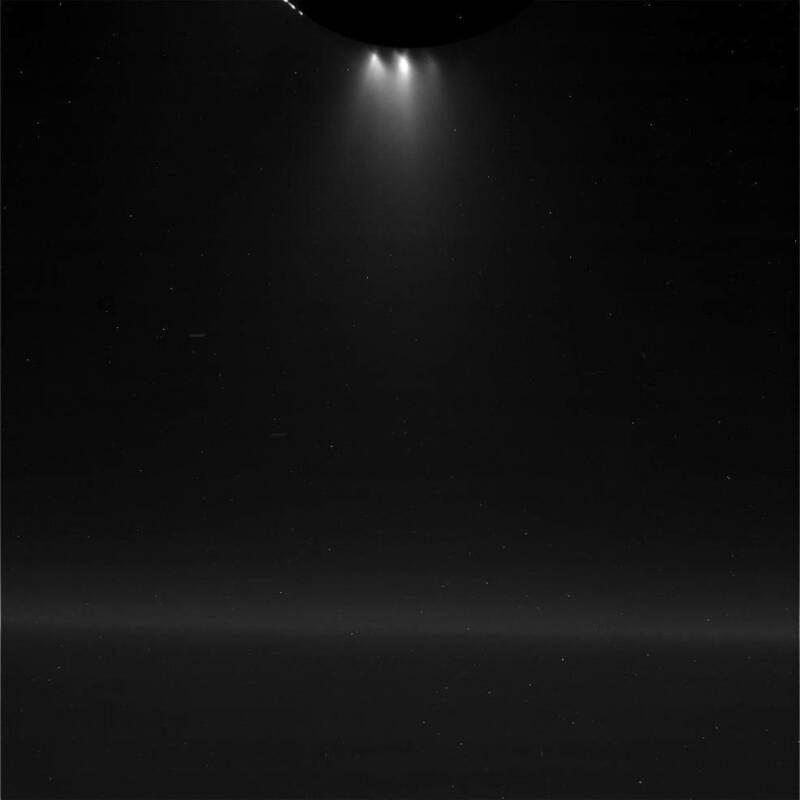 The plumes of Enceladus, originally called fountains, were discovered http://saturn.jpl.nasa.gov/science/moons/enceladus/enceladusdiscoverytimeline/ in November 2005 and have been flown through before but at a higher altitude. These earlier flybys showed that the plumes are made up of ice, water vapor and organic molecules and occur continuously only at the South Pole of Enceladus. This deeper plume penetration will allow for the best sampling ever of the particles and complex chemistry contained within. The plumes are believed to be caused by “Yellowstone” like eruptions that originate from the global ocean and hydrothermal heat concentrated at the South Pole. The plumes might be erupting from the “Tiger Stripes” of Enceladus - fractures in the surface ice. The makeup and structure of the plumes is one of the key science objectives of this flyby http://saturn.jpl.nasa.gov/mission/flybys/enceladus20151028/ . During a teleconference held on Monday http://www.ustream.tv/recorded/76308203 , scientists stated that traveling at over 19,000 miles per hour Cassini will spend only a few tenths of a second flying through the plumes. But its instruments have been prepped and tuned specifically for this encounter and are expected to gather data that will help answer a number of questions including “is the Enceladus ocean habitable for simple life?”. The spacecraft can detect complex organic molecules but can’t determine if they are biological in nature. 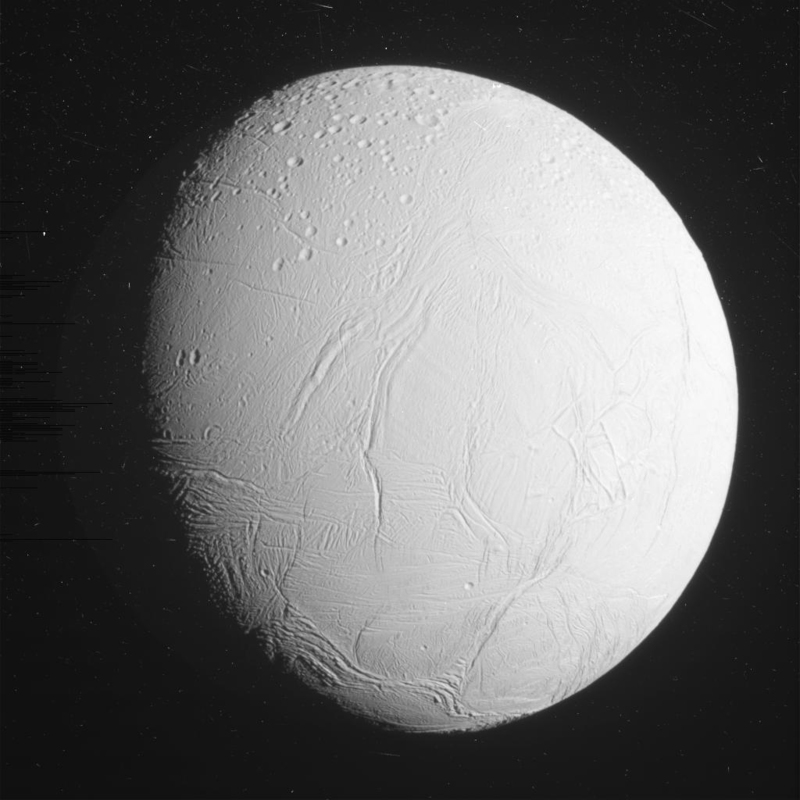 Cassini will gather data and take pictures inbound and outbound of Enceladus. The North Pole is visible for the first time ever while the South Pole will be illuminated only by the light of Saturn itself. I asked Linda Spilker, Cassini project scientist at the Jet Propulsion Laboratory (JPL), “How bright will the South Pole be during the flyby?”. She responded that, “It will be much, much less than our own Full Moon. Enceladus is very bright and we have done this before.” Dr. Spilker stated that the Cassini science team is “excited and awaiting results”. Cassini will be flying by so fast that it must take “smeared” pictures which software should be able to convert to regular view. By late afternoon Wednesday the spacecraft is expected to do a call back followed by transmission of data and pictures. It will take a week to process the initial results followed by weeks and months of analysis but we may see the first pictures by late Thursday or Friday morning. 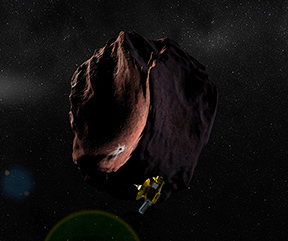 This pioneering close flyby is our first step in exploring other oceans in our solar system. Sniffing, probing and photographing the plumes of Enceladus will reveal much about its hidden global ocean. In turn this may give us another place in addition to Mars to look for life. Jupiter’s moon Europa http://www.caltech.edu/news/probing-mysteries-europa-jupiters-cracked-and-crinkled-moon-48593 also has a global liquid ocean and is a target for future exploration. The science and lessons learned by Cassini will go a long way in preparing for future exploration of Europa and Enceladus. Cassini, described by the scientists during the teleconference as “a perfect mission” has two years left. It will flyby Enceladus one more time in December http://solarsystem.nasa.gov/finalflybys , take high resolution pictures of the F-ring of Saturn, fly close to tiny ring moons and in April 2017 hop across the entire ring system to fly in between a gap in the rings - wow. At its end Cassini will do a death plunge into the atmosphere of Saturn and will have written THE book on the ringed planet and its moons. I’ll have updates on the flyby and Cassini as they become available. Mirror, Mirror on the Wall....Who is the Greatest Comet Hunter of All? 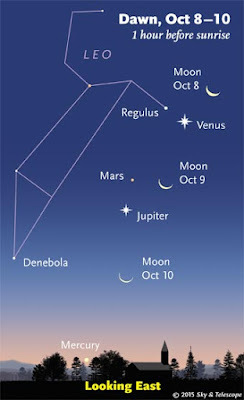 Predawn on 10/26 Venus and Jupiter are going to be very close - a little over two Moon-widths. Go outside an hour or more before dawn to see Venus (brightest) near Jupiter with Mars just below both. If you have a clear view of the horizon Mercury might be visible just before it gets light. NASA's New Horizons spacecraft that completed its historic flyby of Pluto last July, is on its way to a billion mile voyage to a new mission - to explore for the first time ever a Kuiper Belt Object (KBO). NASA’s New Horizons spacecraft has carried out the first in a series of four initial targeting maneuvers designed to send it toward 2014 MU69 -- a small Kuiper Belt object about a billion miles beyond Pluto, which the spacecraft historically explored in July. KBOs are a class of solar system objects that reside beyond Neptune and contains dwarf planets like Pluto. This is a totally unexplored by spacecraft region in our solar system. New Horizons flyby of 2014 MU69 will be another historic first in the exploration of our solar system. 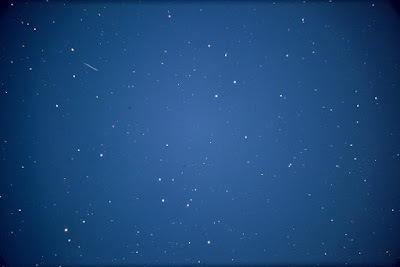 Tonight is the predicted peak of the Orionid Meteor Shower. The best time to look for these bits of Comet Halley debris hitting our atmosphere is after midnight, especially in the hours before dawn. 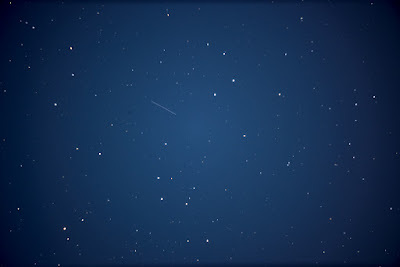 The Orionids are expected to produce about 20 meteors and hour. 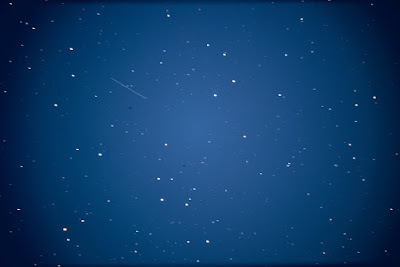 Viewing tips are here and NASA will be live to follow the Orionids at 10 pm EDT. NASA has a new web site that will have daily pics of our Earth taken from a point 1 million miles distant. NASA's Cassini spacecraft has spent 11 years studying the ringed planet and its moons. 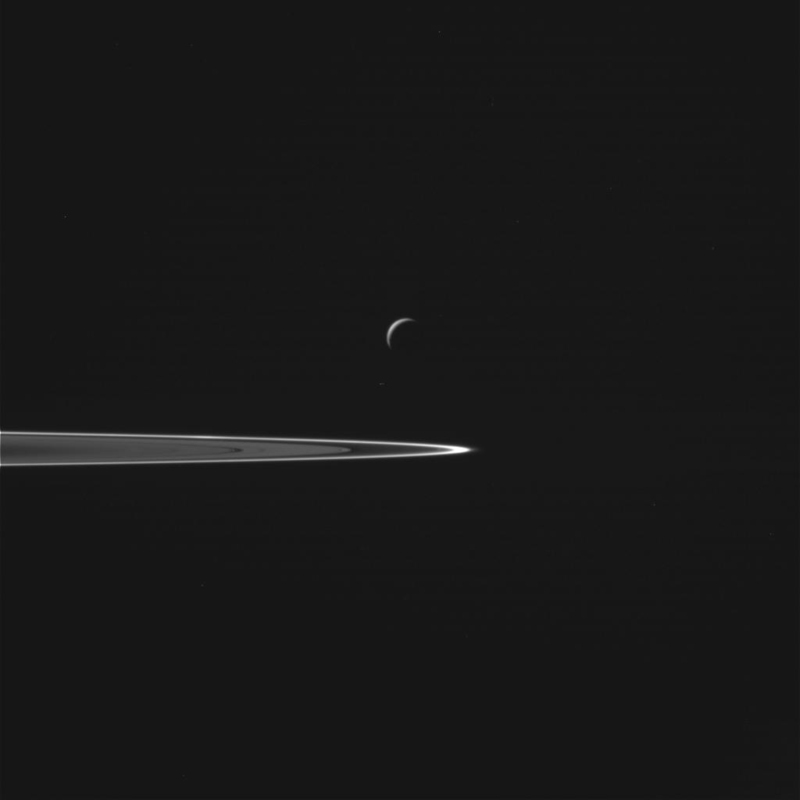 In the past week Cassini started its final series of flybys of Enceladus. 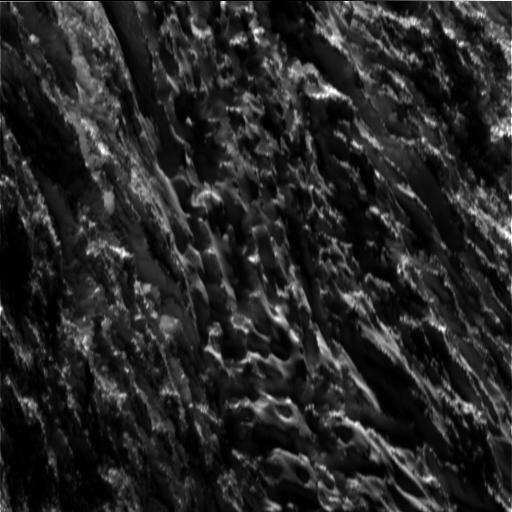 The returned pics have been amazing as can be seen in this close up of the moon's North pole. 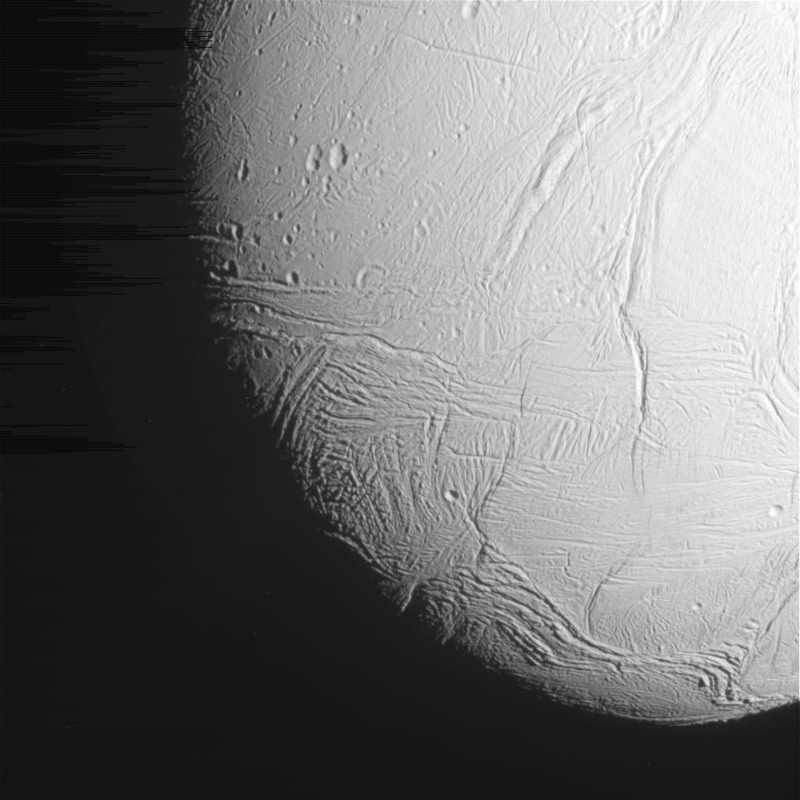 The closest pics are to be taken on October 28th as the spacecraft will zoom to within a mere 30 miles above the frozen and contorted surface of Enceladus. This will be Cassini's deepest penetration of the icy spray plumes that erupt out of cracks in the moon's frozen surface. 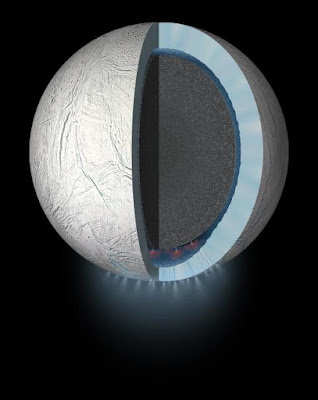 Enceladus has a global ocean underneath its icy surface and is a desire future mission for NASA. The exploration of this ocean would give us our first look at such a feature beyond our own planet and who knows what we would find. I have been on the road with family and no computer for the past several days so no blog! Here is the 1st Scientific Paper on Pluto From New Horizons Team that was just published yesterday, 10/16/15. It is a good read from the team that brought us the Pluto Flyby just 3 months ago. For the next few morning the crescent Moon will be sliding by Venus, Jupiter, Mars and Mercury in the East before sunrise. 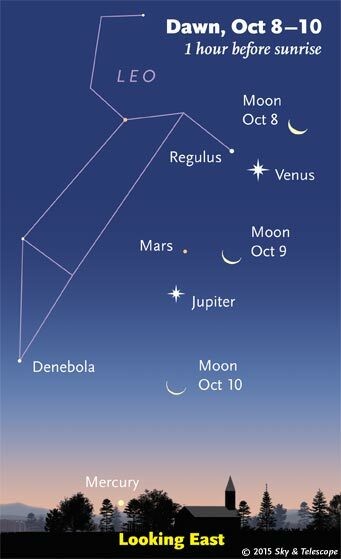 This is a nice morning sequence that is a warm up for the grouping of Mars, Jupiter and Venus later in the month. 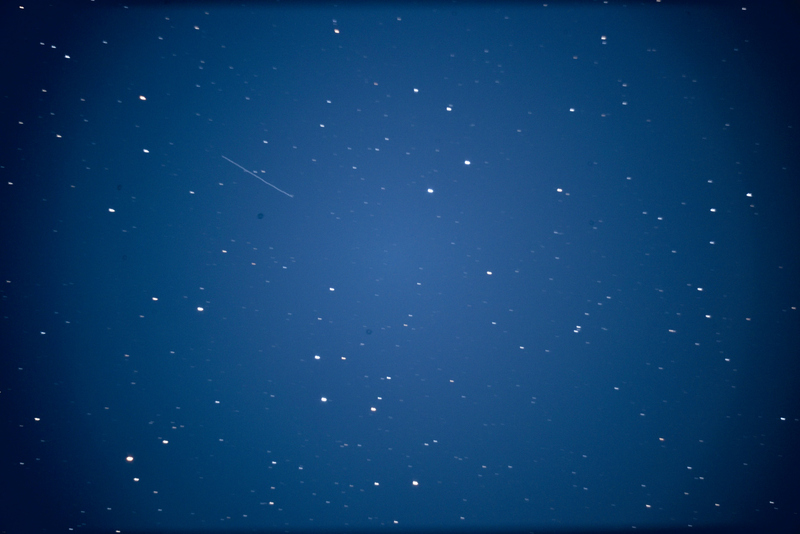 The skies finally cleared and I took my 1st pic for the Fall of M-31, the Andromeda Galaxy. M-31 is the closest large galaxy to our own Milky Way Galaxy and contains about 1 TRILLION stars - our Galaxy has several hundred billion stars. It stretches out over 260,000 light years as opposed to the Milky Way Galaxy's 100,000-150,000 light years. A light year is how far light, traveling at 186,000 miles per second travels in one year - it is about 6 trillion miles. The pic was taken with a 300mm f/4 telephoto which tells you something about the size and relative closeness of M-31. In the pic you can see spiral arms, dust lanes, star clouds and M-110 to the immediate left and M-32 to the immediate right which are two large dwarf galaxies to M-31. The Andromeda Galaxy is the farthest object you can see with your unaided eye. 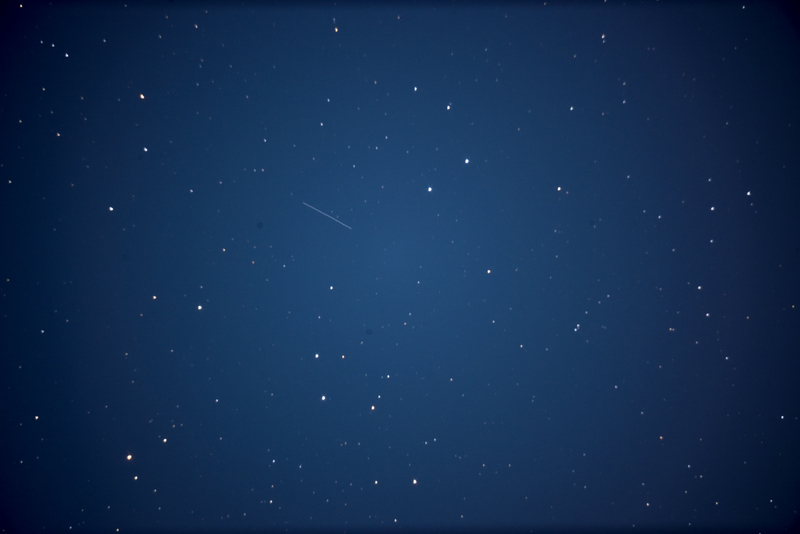 It is 2.5 million light years away which means the light I captured in this pic left M-31 2.5 million years ago! This is about the time in Earth's history when our ancestors started walking upright. If you look at this article and its star chart you can see where Andromeda and M-31 are located just off of the NE corner of the Great Square of Pegasus. Pegasus is visible in the East as it gets dark and rises higher in the sky as the evening progresses. If you have binoculars the view of M-31 is really enhanced, especially if it is higher in the sky. M-31 and our own Milky Way Galaxy are on a collision course and will merge about 4 billion years from now into a brand new giant elliptical galaxy called Milkomeda. The two galaxies are moving towards one another at about 250,000 miles per hour. 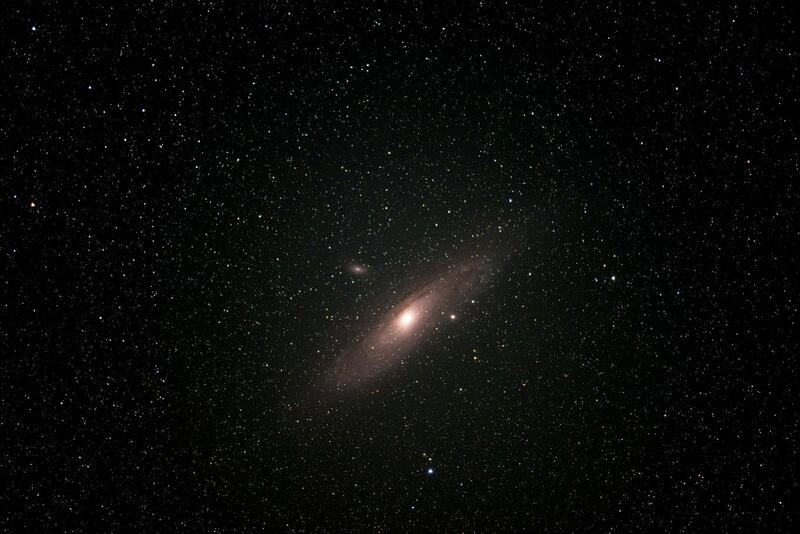 Get out when the sky is clear and go back in time by looking at the Andromeda Galaxy. I will be getting more pics in the Fall and will share. I hope you get out and see this beautiful galaxy. 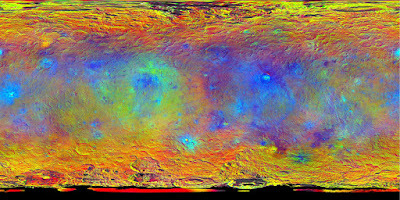 The OTHER dwarf planet, Ceres, was in the lime light for a bit recently when NASA released a new global map of the icy world showing compositional differences. 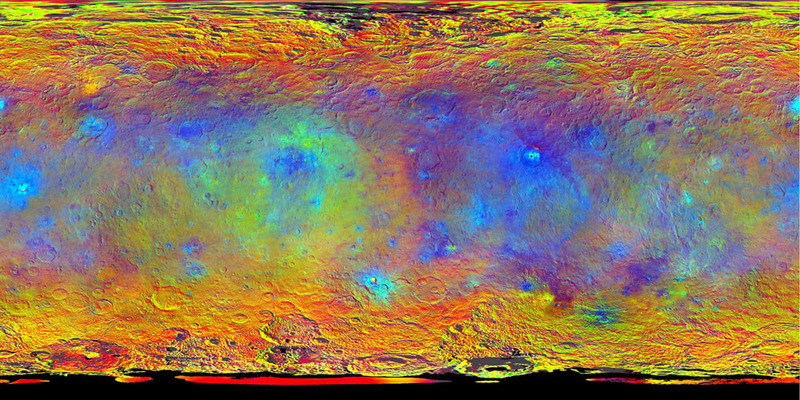 Ceres is an intriguing world that we will learn more about while the Dawn spacecraft continues to make observations. I saw Sir Ridley Scott's movie, 'The Martian' today. In a word - OUTSTANDING. I say this NOT totally because I love all things space. I'm saying it because this is a very, very good movie. You can get the movie's basics from the IMDB link. While Matt Damon is the HUMAN star of the movie, make no mistake, Mars as it is depicted in the film is THE STAR of the movie with the impressive space hardware winning best supporting honors. 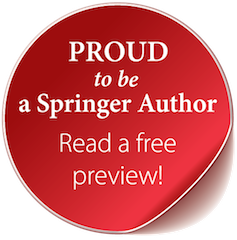 Scott repeatedly gives us grand and visually stunning views of the Red Planet. I am sure he had access to the thousands of photographs of Mars from orbit and on the planet that NASA has acquired over the years. The huge scale of geological features and the endless sand contrast so vividly with the sky and weather. The night sky scenes took my breath away. The view of the Earth as a bright star, the transiting of the Martian moons, the famous dust devils, cirrus clouds and sunset are mesmerizing. Add to it the crushing loneliness of being the only living thing on the planet with help 50 million miles and 4 years away. When I looked at the very plausible space hardware being used for the MULTIPLE trips to and from Mars, living on Mars, I have to be honest. I said to myself that our current broken political system would never be able to pull itself together to pay for what I was seeing. Make no mistake, going to Mars will be very expensive, but so was going to the Moon. Done over a period of decades WITH DEDICATED AND GUARANTEED FUNDING, we can send humans to and from Mars. The movie also highlighted international cooperation in space. Can you imagine the power of China and the US applied to manned spaceflight? The movie shows what is possible and NECESSARY when it comes to going to Mars. There is real international cooperation in space going on now with the International Space Station (ISS). The U.S. and Russia, even though at great odds with one another here on terra firma, breathe, bathe, eat and watch over one another aboard ISS. 'The Martian' flows smoothly and quickly and is a joy to follow. There is no complicated science to comprehend as there was in 'Interstellar' and the science presented is completely understandable. There is also plenty of 'feel good' aspects to this move, and yes, I got a few tears going here and there due to the sheer beauty of the scenery and humanity. I became fully enveloped as I think a lot of movie goers will. NASA obviously plays a big part in the movie - on screen and in its making. When the launch of a new mission to Mars is portrayed, I'm pretty sure it is the actual footage from the unmanned Exploration Flight Test-1, NASA's 1st Orion mission launched December 5, 2014. Orion is NASA's new manned spacecraft that can take astronauts to the Moon, Mars and the asteroids. The rocket that can get it there is NASA's Space Launch System (SLS) which is being built and is scheduled for its first launch with Orion - unmanned - no earlier than 2018. 'The Martian' is a movie that movie goers should see and yes, the Oscar folks take a look at for Best Actor Matt Damon, Best Director Ridley Scott, Best Special Effects, Best Cinematography and Best Sound. I saw it in 2D and may (will) go back and see it in 3D. Enjoy this latest enhance color pic of Pluto's moon Charon. 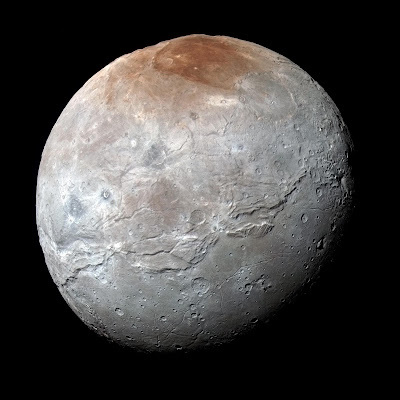 Besides the reddish color at the north pole of Charon the massive canyons/valleys and different terrain that goes at a diagonal across the whole moon is impressive. There are a lot of rilles (lines in the surface) that can be seen as well. You can details on this pic here. There is much, much more to come in the next 13 months as data is returned to Earth by the New Horizons spacecraft.